Hey North Carolina! It’s me, Keri Weddle, your State Vice President of Middle Schools. I represent middle schools and District 5. Here in District 5, you can enjoy sports, concerts, and movies at the BB&T Ballpark. Looking for a bite to eat? Check out the Burger Batch in Winston-Salem and High Point. Make sure to get a sweet milkshake along with a good old-fashioned Cheerwine. I am here for you, middle schools! I want to help you with fun activities at your school to promote and publicize FCCLA. 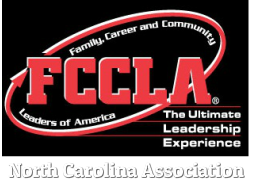 I want to make this a year full of success and add FCCLA at more middle schools here in NC.